Sometimes dairy is a dish best served spoiled. 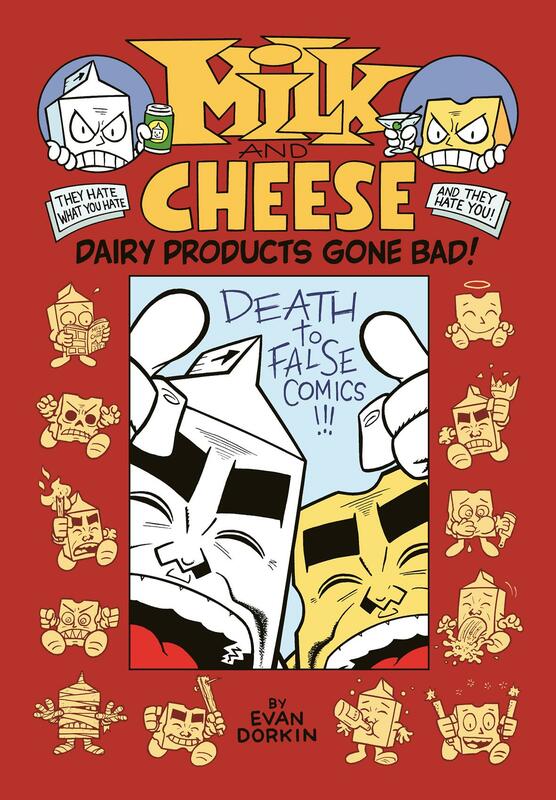 Over the years, Milk and Cheese has proven to be a comic book of idiotic genius from the devilish mind of Evan Dorkin (Beasts of Burden, The Eltingville Club) and Dark Horse is proud to announce the return of the Eisner Award-winning dairy duo in this trade paperback collection of Milk and Cheese: Dairy Products Gone Bad! This affordable and comprehensive volume features every single stupid Milk and Cheese comic ever made from 1989 to 2018 along with cover art, pin-ups, and the art from the 1995 Milk and Cheese trading card set. So sip from this carton of hate, nibble on this wedge of spite, and enjoy Dairy Products Gone Bad! 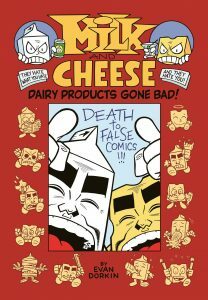 Milk and Cheese: Dairy Products Gone Bad TPB goes on sale May 2, 2018, and is available for preorder at Amazon, Barnes & Noble, and your local comic shop. This lactastic volume retails at $19.99 for 240 pages of content.